It was a topsy-turvy browser world in February as Microsoft’s Edge and Internet Explorer gained ground, while Firefox and Chrome slipped. Microsoft’s browsers stepped back from the edge of the cliff last month, halting, perhaps only temporarily, their years-long slide in usage. According to web analytics vendor Net Applications, in February IE’s and Edge’s combined user share climbed by half a percentage point to 13%. The increase was the largest since March 2018. Most of the uptick was credited to IE; the legacy browser added three-tenths of a percentage point to its share, ending the month at 8.2%. Edge grew by about two-tenths of a point, to 4.8%, its highest point since September 2017. However, IE’s gains were less striking when compared against Windows’ own growth for February. Because Windows overall climbed by 1.2 points – ending the month at 87.4% – IE’s share of all Windows browsers climbed by just two-tenths of a point, not the larger three-tenths in absolute value. Edge took a different turn: With Windows 10’s decline in user share for February – it slid six-tenths of a percentage point to 40.3% – and Edge’s absolute value increase, its share of all Windows 10 browsers rose six-tenths of a point, to 11.9%, the most in that metric since May 2018. Net Applications calculates user share by detecting the agent strings of the browsers people use to reach the websites of Net Applications’ clients. The firm tallies the visitor sessions rather than count users, as it once did. In other words, Net Applications’ data represents user activity. By adopting code from open-source Chromium project, Microsoft said, it would “create better web compatibility for our customers,” even as it ignored Edge’s dismal status in share. And Edge remained in a precarious position, even after posting impressive growth last month in the share-of-Windows-10 benchmark. 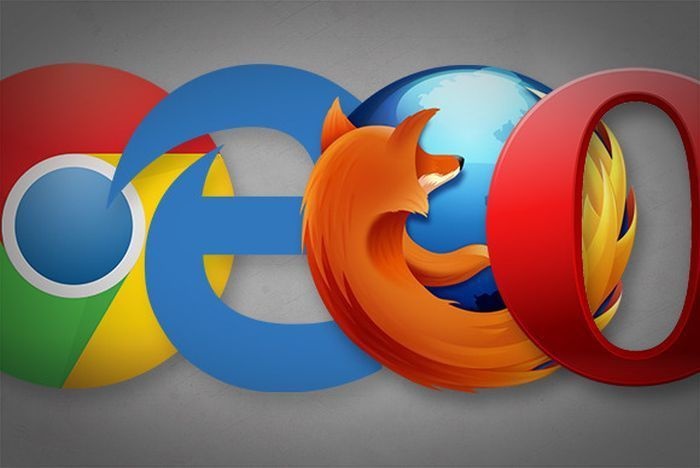 Edge’s 4.8% all-OSes user share was just half that of Firefox, and only 58% of the obsolete IE, which will, Microsoft’s claims notwithstanding, be dispatched to Browser Boot Hill sooner rather than later. For a browser bundled with Windows – bundled, in fact, with the most widely-used version of Windows – and given substantially more of a, well, edge by Microsoft than IE had been given since the settlement of the U.S. Department of Justice’s antitrust case, Edge’s under-5% mark is an embarrassment. Microsoft’s about-face last year – the move to go “full Chromium” – only confirmed the company’s dissatisfaction. Edge’s survival won’t be measured by how its user share moves up or down – within limits – until the preview lands on Insiders’ PCs. At that point, Edge’s share of Windows 10 will be under the microscope, its flows and ebbs dissected for insight into Microsoft’s decision to join Chrome and Opera in relying on Chromium. The step back altered Computerworld’s forecast for Firefox again. A month ago, the prediction was that the browser would stay above 9% through 2019. The latest prediction – as always, based on Firefox’s 12-month average – accelerates the downturn, with the sub-9% mark set for May and under-8% for December. Mozilla badly needs Firefox share growth to demonstrate that the browser’s November 2017 revamp was not only worth the time and money but would lead to a true turnaround. Portents do not paint a rosy picture for Firefox. The browser’s user share has been in the single digits for eight straight months and for nine of the last 10. Elsewhere, Chrome lost four-tenths of a percentage point in February to close at 66.9, still above the two-thirds bar. Meanwhile, Apple’s Safari also dropped four-tenths of a point, leaving it with just 3.6%, its lowest mark since April 2017. Even with Chrome’s slip, the most popular browser’s trend line remains enviable: The 12-month average indicates it would crack 68% in May and 70% in September. In each case, the newest prognostications are two months later than the previous ones. Chrome hasn’t posted back-to-back declines in almost six years, so it bears close watching this month for clues that “peak-Chrome” has arrived. Safari’s fall looked much more serious, as it could little afford to lose share; the browser has been under 4% for 11 out of the last 12 months. More troubling was last month’s decline in Safari’s share of all browsers used on Macs. Net Applications’ numbers attributed just 36.7% of on-Mac usage to Safari, the second-lowest number ever. (January’s portion had been 37.8%, significantly higher than the record low of 35.1% in December.) Mac owners, like those sitting in front of Windows systems, have clearly not been immune to the siren call of alternatives, notably Chrome.